When Brittany Subialdea ’17 came to Austin College, she realized a dream as the first in her family to attend college out of high school. 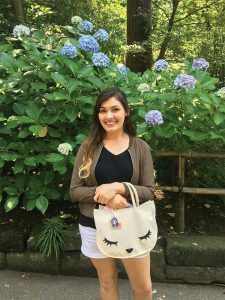 She was drawn here by foreign language opportunities in Jordan Family Language House—imagining that one day she would teach English in Japan. Following her plan to major in Japanese, she took her first-ever computer science course to satisfy a quantitative credit requirement. It was challenging, but studying computer science set in motion an unexpected new dream. While she was considering a meaningful minor, Dr. Aaron Block, associate professor of computer science, encouraged Brittany, telling her she was really good in computer science. She took classes to complete a minor, and during that study, realized she wanted to complete a major in the discipline. Brittany’s interest grew in researching the intersection between theoretical solutions and real-world problems. She and Block worked together on a research project focused on designing and implementing a scheduling algorithm, with expectations that Brittany would present the work at a student research conference and submit their findings for publication. 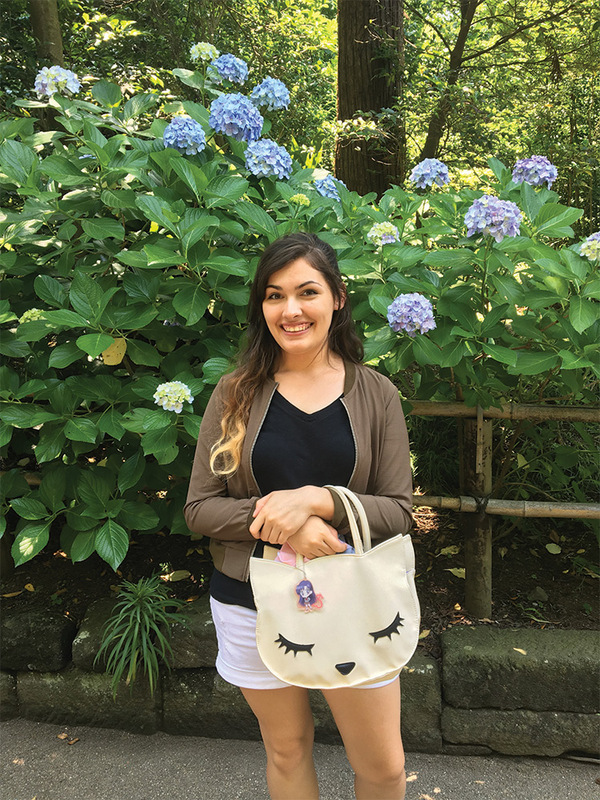 Now, having completed her degree with majors in Japanese and computer science, her experience at Austin College gives her a boost as she takes a next step toward another once-unexpected dream. 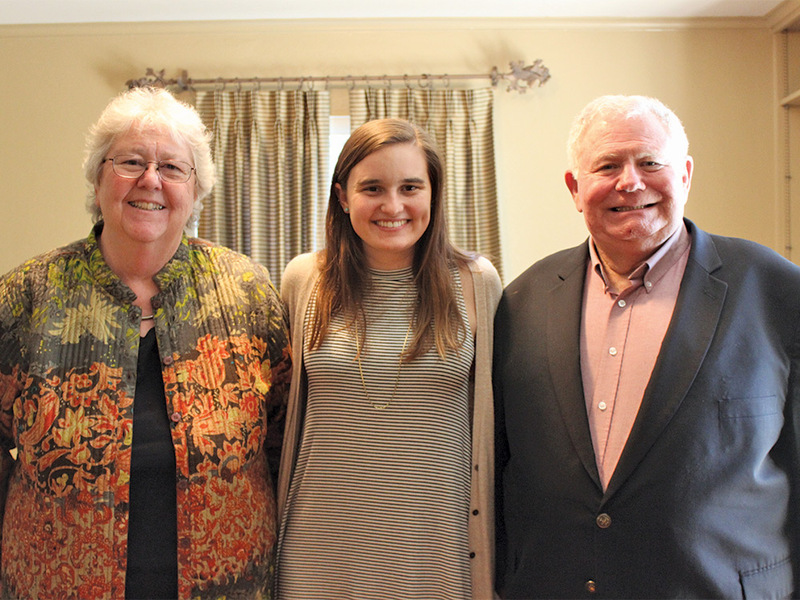 This spring, Brittany was awarded a National Science Foundation Graduate Research Fellowship. Of 13,000 applicants, only 2,000 individuals nationwide received the prestigious fellowship. Brittany will begin a Ph.D. program in computer science this fall at the University of North Carolina-Chapel Hill. 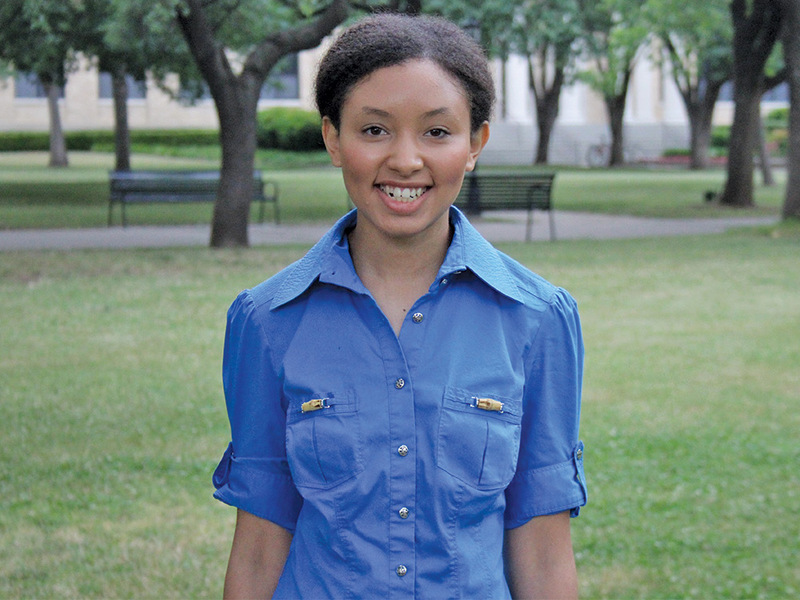 She is the first in recent memory, or possibly ever, at Austin College to earn a NSFGR fellowship as an undergraduate. With the momentum of this life-changing opportunity, Brittany says she wants to be in a position to help other minority women understand their options in science, technology, engineering, and math—especially budding computer scientists. 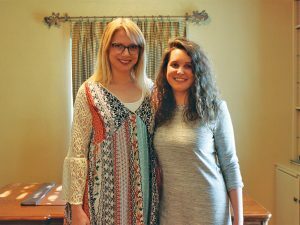 Research is central to the learning experience of Austin College psychology students—conducting it, reading about it, presenting it, listening to it. Psychology students are regular participants at the College’s Scholarship Conference, and many present their work at the Student Research Competition when they travel with faculty to the annual Southwestern Psychological Association Convention. At left, Austin College students Jorge Garza ’17 and Mark Pernik ’18 share their research on memory enhancements at the Southwestern Psychological Association Convention in San Antonio this spring. At Austin College, in-depth research is not saved for the last lap of college. Students in a wide variety of disciplines can begin research projects early in their academic careers and continue throughout their studies. Opportunities for research are embedded into regular coursework and offered through experiential learning opportunities, such as the Scarbrough Summer Research Program in the Humanities and Social Sciences, the College Honors Program, science research projects, and individual research questions in a number of disciplines. Collegial research, by common definition, produces new knowledge, is overseen by a faculty member, and is presented in a scholarly setting. Barton also serves as the director of the Austin College Center for Research, Experiential, Artistic, and Transformative Education (CREATE), which supports and celebrates qualitative and quantitative research as well as the creation of original works in literature and the arts. Established in 2015, CREATE builds a bridge between theory in the classroom and realworld experience. By supporting the research component of education in all disciplines, Austin College helps students develop skills that transfer into the workplace, post-graduate education, and life in general—and gives them a shot at expertise along the way. “We pose the overarching question, ‘can our students solve a problem?’” Barton said. 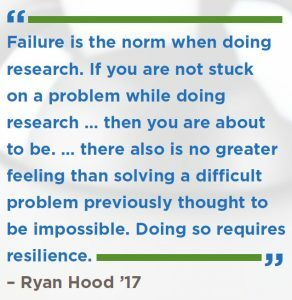 “That’s what research is: dealing with ambiguity, knowing where to start, and mastering the fundamental skills of completing a research question.” Students in all disciplines are encouraged to participate in individual research, with up to 40 percent of the student body conducting at least one research project during the course of their undergraduate studies. A Lemuel Scarbrough Jr. Summer Research Fellowship funded a project for Callie Graham ’17 that earned her Honors in English with the thesis, “Hope Ridings Miller: Women in Journalism, Gendering the News, and Literary Scrapbooks.” Callie found that women’s pages were the vehicle for many women to enter American journalism, though the stories on fashion, society, homemaking, and cooking were viewed as less serious forms of news—and that description often extended to the women who wrote them. She chose alumna Hope Ridings Miller ’26, a society writer in Washington, D.C., during the 1930s and 1940s, as a case study of the impact of women in journalism. “Studying the work of female journalists shows the complexity of women as writers, their place in the professional world, and how women gained visibility in the public and press through their writing,” Callie wrote. 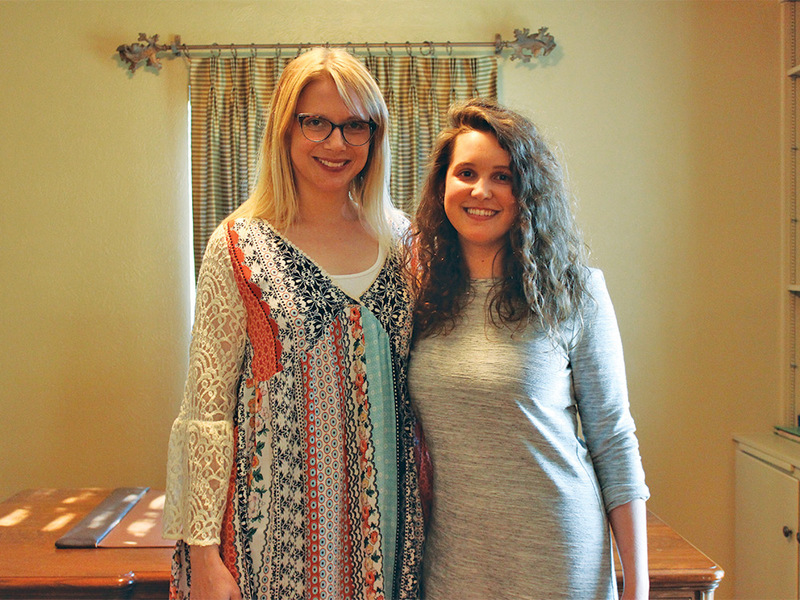 Pictured with her thesis advisor Dr. Randi Tanglen, at left, of the English faculty, the 2017 graduate plans to obtain a master’s degree in publishing. Barton, who advises and collaborates with biology research students, said, “Traditionally students in the sciences are taught to memorize; they learn theory instead of practice, and they cover content quickly to have it for the short term. They definitely can rock a test. However, it seems that the knowledge does not make the leap to the workforce because it’s long gone by then. 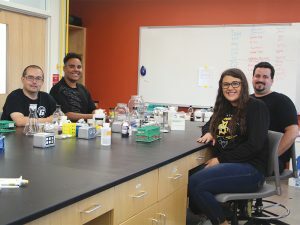 Reinforcing knowledge through hands-on research helps Austin College students retain what they have learned.” At Austin College, with a 13:1 student-faculty ratio and access to facilities and resources that may rival some larger institutions, student researchers in all disciplines are able to create their own tradition. And, it begins with a strong mentoring relationship with an overseeing faculty member. “So at a small college like Austin College, conducting research alongside a faculty member is another way in which students are able to make their strengths and abilities known to faculty who can then knowingly speak highly of them, in detail, to a potential employer or graduate or professional school,” Brown concluded. 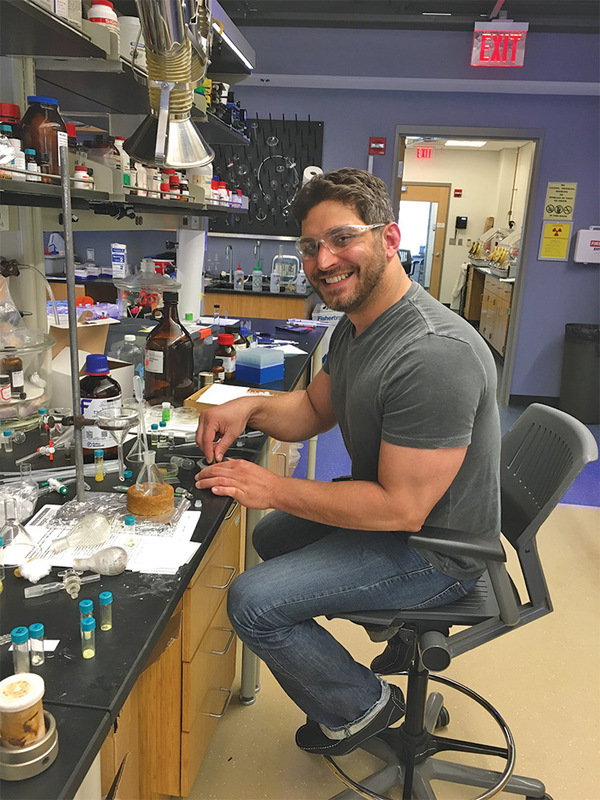 Rami Batrice ’08 entered Austin College with plans to attend medical school and hoped to boost his academic résumé with a research project. Dr. Bradley Smucker, professor of chemistry, agreed to mentor Batrice, then a sophomore, on his first project. 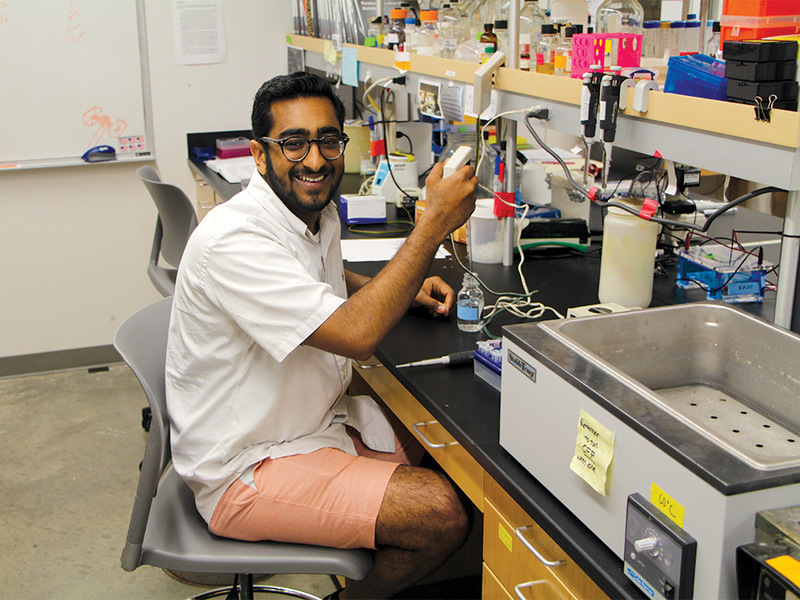 Rami’s career plans transformed from medical doctor to scientist soon thereafter. “One semester of research turned into two, and so on,” Rami said. “Along the way, I realized I really liked the process, and I changed my major from psychology to chemistry. Starting off, I never thought pure science was my future.” By putting in the effort, he says he developed his critical thinking skills and a desire to discover knowledge rather than just use it. Rami holds a Ph.D. in inorganic chemistry from Technion-Israel Institute of Technology and now is doing post-doctorate work at Georgetown University in Washington, D.C. His lab conducts environmental chemistry research, including work on containing nuclear waste, seeking a replacement for rare earth elements in high-tech production, and degrading waste to make polluted water non-toxic. 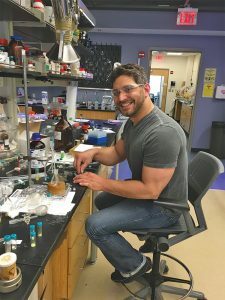 “Even today, one thing that Dr. Smucker would say I can still hear in my head: ‘one hour in the library will save you a week in the lab.’ Meaning, you can gain inspiration and clever ideas from others doing similar work. And of course, since research is intended to develop new information, it’s very frustrating to learn that something you’ve put a month into has already been published,” Rami said. Scholars emerge from labs, studios, and rehearsal halls each spring to showcase their work at the Austin College Student Scholarship Conference, which in 2017 included nearly 160 students from 10 academic departments. “In the spirit of the liberal arts, this conference brings together the intellectual stimulation of an academic pursuit with the thrill of creative expression,” said Lance Barton, director of the Center for Research, Experiential, Artistic & Transformative Education (CREATE) and coordinator of the College’s first scholarship conference in 2013. The two-day 2017 event featured poster, oral, and panel presentations of individual and collaborative research findings, as well as art exhibits, music recitals, improv and theatre performances, and more. Presentations ranged from the role of women in the rebuilding of Haiti to the diets of hibernating squirrels to chemical compound actions too complicated for most non-scientists even to pronounce. 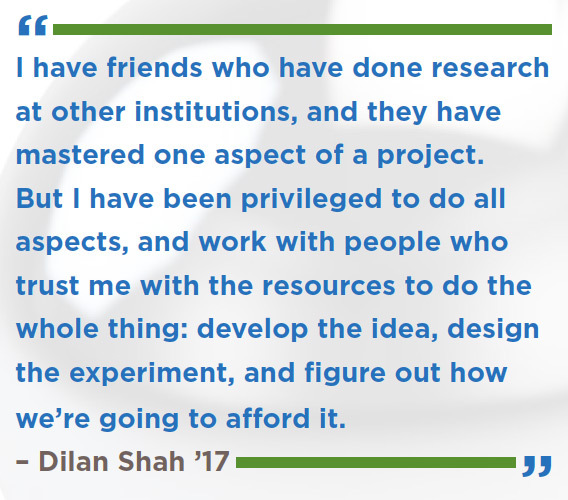 As a biology major with plans for a medical career, Dilan Shah ’17 worked through several research questions in his years at Austin College, starting as a freshman. He admits that early on, he expected only to hone basic laboratory skills such as protocols or handling a pipette. But, many, many hours, days, and nights in the lab later, he says the experience was all-inclusive. “I have friends who have done research at other institutions, and they have mastered one aspect of a project. 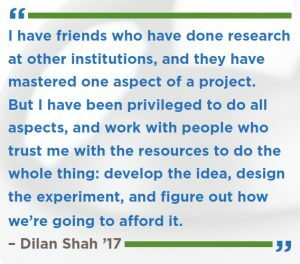 But I have been privileged to do all aspects, and work with people who trust me with the resources to do the whole thing: develop the idea, design the experiment, and figure out how we’re going to afford it,” Dilan said. He completed a grant proposal and received a $964 grant from Sigma Xi scientific research society and the American Association for the Advancement of Science, and a $500 Beta Beta Beta (biology honor society) Research Scholarship to help fund his senior honors thesis work on anti-cancer drugs. (Yes, that’s an undergraduate working to end cancer.) He’s not alone in that. 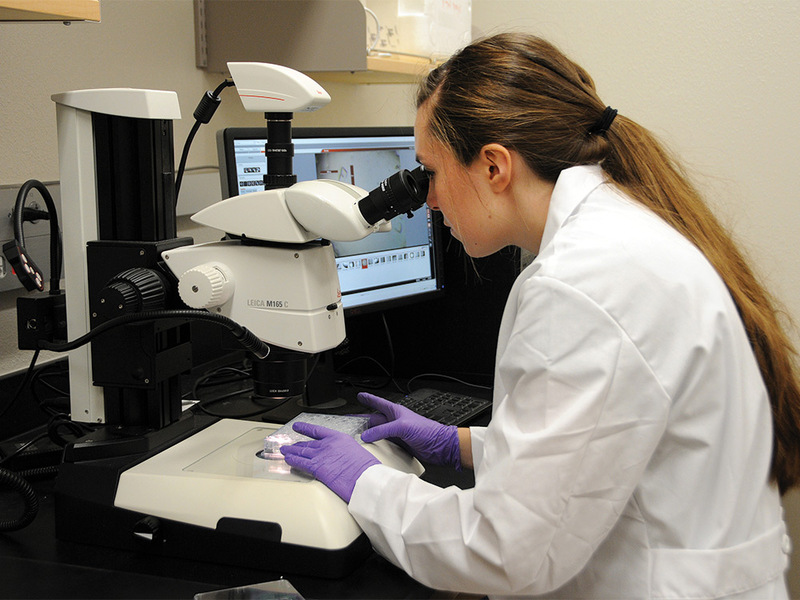 Austin College has offered a Cancer Biology course since 2014, which receives support from The Discovery Foundation of Dallas, Texas. During the class taught by Barton (and during a summer research component), students generate new cancer cell lines that can be further characterized in the course. For each new cell line generated, students collect data on genetic and genomic instability, metastatic potential, and proliferative capacity, while also learning the biological mechanisms behind these phenotypes of cancer and delving deeply into the primary literature through classroom discussions. Students take part in an open-to-the-public Women’s Health and Cancer Forum each fall. Last November, Dr. Sendurai Mani, associate professor in the department of Translational Molecular Pathology at The University of Texas MD Anderson Cancer Center, spoke during the event. CREATE also is working to develop a Community of Scholars for students who are interested in taking collaboration a step further through sharing best practices, general support, and camaraderie—and maybe a little competition, but just for motivation. 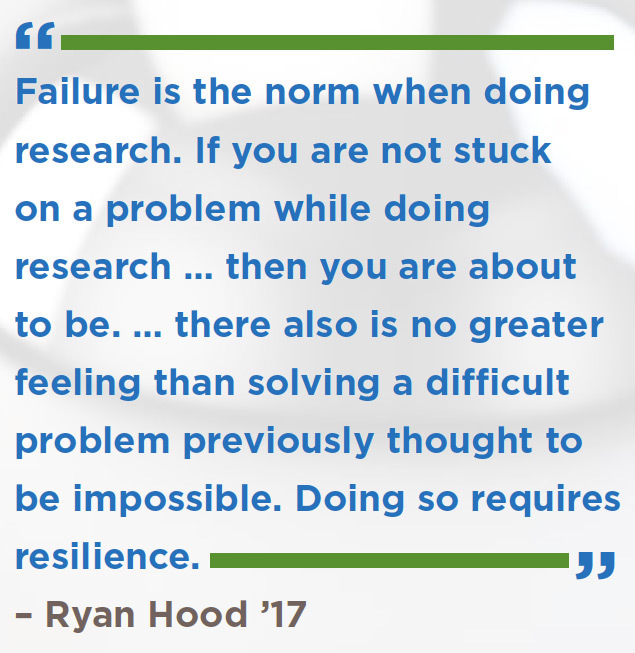 Access to mentors and fellow students builds communication and relationship skills, while access to current, real-world tools builds practical research skills. Research is the very heart of the field of history. Few know that better than Dr. Light Cummins, former Texas State Historian and Guy M. Bryan Chair of American History at Austin College, and Dr. Victoria Cummins, Austin College’s A.M. Pate Jr. Endowed Chair of History. They’ve searched many archives and documents—and more recently, online sources—to write numerous books and publications, including a chapter each for the book Eavesdropping on Texas History, published in February. They share their expertise and love of history with their students, including, pictured with them, Alexandria Lux ’17, who earned Honors in History with her thesis, “Texas Centennial Celebrations and the Rebranding of Texas.” She said it was important initially to distinguish between myth, memory, and history, and in doing that, it was clear that the message of the Centennial Celebrations differed from the actual past. Brady Flanery ’17 completed his honors thesis, titled “You May All Go to Hell, and I Will Go to Texas: Migration Patterns and the Evolving Political Culture in Texas 1850-2010,” with supervision from Dr. Nate Bigelow, associate professor of political science. “During the early parts of my research, Nate and I used SPSS, software commonly used for statistical analysis in social science, to run certain tasks that included many steps and certain settings. It was extremely valuable to take note of each step so that it would be easier to write about the methods of my project four months later,” Brady said. Even in the study of classics, Austin College students have the advantages of digital resources. Desiree Coleman ’17 completed an honors thesis, titled “Cicero and the Complexities of Reciprocity in Friendship in the Late Roman Republic” to earn Honors in Classics. “Although still in its infancy, there are great online resources for academics in the field of classics such as the Perseus Digital Library at Tufts University and Whitaker’s Words software. That said, nothing replaces physical books, especially since some books and journals I needed were not available online, and they are handy references for citations. For the classics, books also have the advantage of being subjected to more thorough editing and review, making them more reliable sources at this point,” Desiree said. This fall, Desiree will attend graduate school at the University of Arizona to complete a master’s program in classics with an emphasis in Latin pedagogy. She plans to become a Latin teacher at the elementary and high school level. “Dr. Bob Cape (professor of classics) repeatedly told me to ‘narrow down’ what I was emphasizing in my research and to make sure that it was backed up with solid evidence from the original Latin and Greek. This advice not only helped me to realize what I should focus on while researching but prepared me to know what to expect when I enter graduate school this fall,” she said. 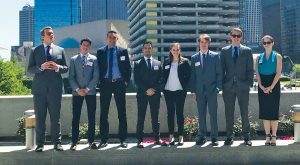 Austin College and the Federal Reserve Bank of Dallas created the Economics Scholars Program in 2007 to create opportunities for undergraduate students from across the country to share research in economics and finance in Dallas each spring. 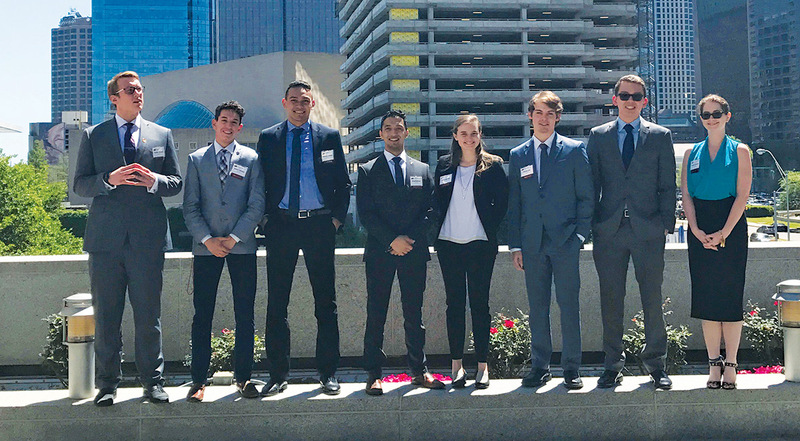 In 2017, several Austin College students and faculty attended, including the group pictured here, left to right, Thomas Samonig ’18, Joshua Zakhary ’18, Zabastian Alzamora ’19, Rohail Rahman ’17, Alexandria Lux ’17, Wes Nichols ’19, Collin Vu ’18, and Victoria Severance ’18. 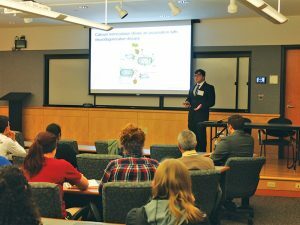 Student researchers commonly attend regional and national conferences in various disciplines, such as economics, history, psychology, sociology, and specific fields in the sciences. Spending time with students and faculty from across the nation exposes Austin College students to the many possibilities in their field of research. 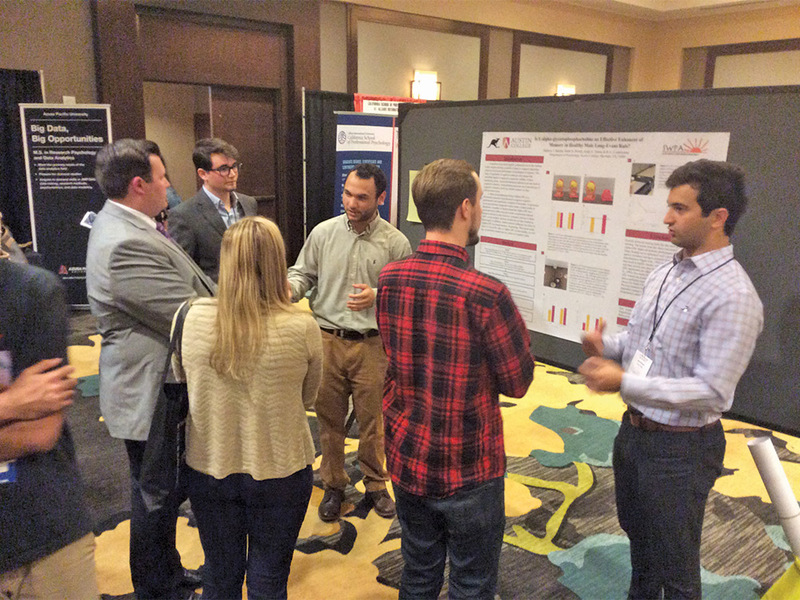 Six summer 2016 research students presented their results at the American Chemical Society Southwest Regional Meeting in Galveston, Texas, last fall. 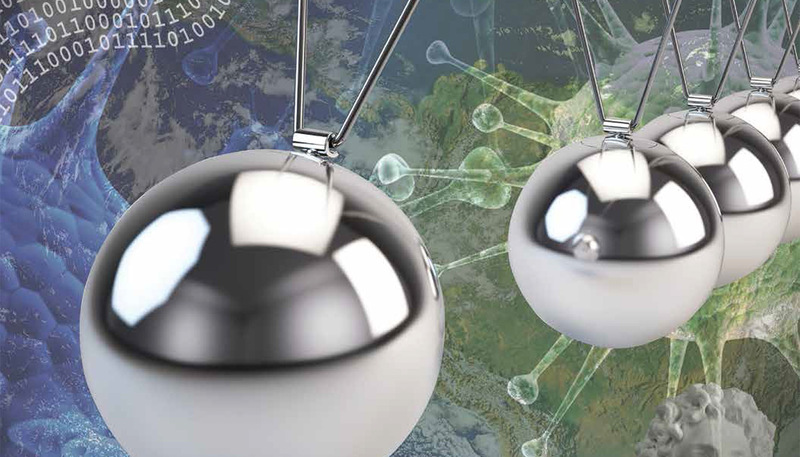 They exchanged ideas and fostered collaborations with chemists from all over the Southwest. Smucker accompanied the group and said the students learned about research happening at graduate schools, explored careers in chemistry, and saw the latest instrumentation technologies. Barton explained that because Austin College students bring their own highly developed skills when they attend these competitions, they don’t just do well—they dominate. Dr. David Aiello, associate professor of biology, and several of his research students attended the Annual Meeting of the Texas Genetic Society, hosted by Texas A&M University. 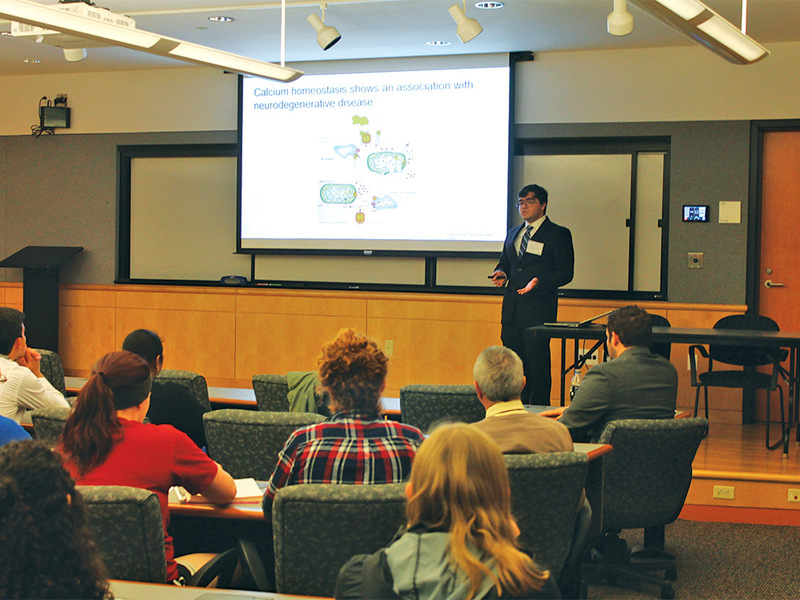 Francisco Neal ’17 won Best Undergraduate Poster Presentation at the conference. “I enjoyed the variety at the conference,” Francisco said. “The general theme was genetics, but the projects investigated genetics in a variety of systems, including monarch butterflies, yeast, and cattle. It also reinforced the point that proper communication is a key feature of science.” He begins an M.D./Ph.D. program at The University of Texas Health Science Center–San Antonio this fall. Other winners at the conference were Katrina Ngo ’17 and Rebecca McDonald ’18 for Best Undergraduate Platform Presentation. While in research mode, students often develop new knowledge of themselves. Austin College’s STEM Teaching And Research (STAR) Leadership Program is designed as a unique program to integrate the development of vital leadership skills in interpersonal effectiveness, collaboration, problem solving, and ethical responsibility into the curriculum in the sciences. So, students cultivate the skills they will need in the workplace and beyond as they are learning their subject matter. Due to the early and frequent access to undergraduate research and cutting-edge resources, many students confirm their interest in a certain field. Dr. David Baker, physics professor and director of Austin College’s Adams Observatory, said students in the Physics Department Research Experience course observed exoplanets called “hot jupiters” with the research-grade Adams Observatory telescope. Though they observed known planets and had no discoveries, it was a good test of students’ capabilities as this was the first time hot jupiters were observed in Adams. “I realized the power of astronomical imaging devices,” Ryan said. “My mind already was set on astronomy but the research class really solidified my choice.” He begins graduate work in astronomy at the University of Oklahoma this fall. Eva joined Ryan and Baker in Adams Observatory. “Working on exoplanet detection methods was something I was excited about and really enjoyed,” she said. “I’m still unsure about what specific career path I’d like to pursue, but I definitely think astrophysics research is an option.” Due in part to a strong research résumé from Austin College, this summer Eva is doing undergraduate research funded by the National Science Foundation at Rensselaer Polytechnic in New York in the field of particle astrophysics. She’ll return to Austin College this fall and take on advanced research with Dr. Don Salisbury, professor of physics. Each spring, researchers proceed from Austin College labs and libraries to careers and further study to apply knowledge gained and experiences achieved. Research yields results, the kind measured by data and the kind measured by solutions. As problem solvers, Austin College students grow in goal-setting, discernment, resilience, work ethics, and moral ethics. In building skills, knowledge, relationships, and résumés, Austin College students who dare to ask new questions and dream new dreams are propelled forward, ready to take on new challenges and opportunities. 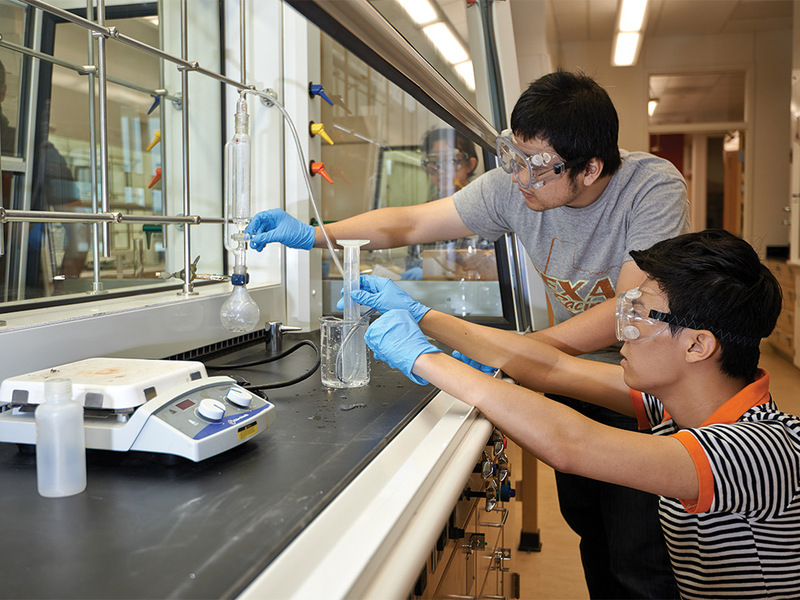 Austin College’s newly created Enhancing New Student Success through Undergraduate Research Experiences (ENSURE) is a program designed to put incoming freshmen in science laboratories before their first college class. ENSURE scholars are selected from underrepresented groups and first-generation college students. This year, support from the regional Oliver Dewey Mayor Foundation allowed Wesley Wright ’21 and Condey Calhoun ’21 from Grayson County to be the first program participants. Additional funding has been secured by Independent Bank, based in McKinney, Texas, to recruit students from a broader area in 2018. For four weeks in the summer before their freshman year, ENSURE program students work alongside returning students and faculty mentors on research questions. They have a hands-on role in the lab and later, in presenting at the Women’s Health and Cancer Forum or the Austin College Student Scholarship Conference. This summer, Wright works with Dr. Andrew Carr and his student researchers in the chemistry lab; Calhoun, with Dr. Lance Barton and students in the biology lab. “We feel these students will benefit academically and have higher success rates longterm after this early investment in the research process,” said Carr, associate professor in chemistry. “It’s like when you go to the pool, and you want to put your toe in to see what it’s like,” Calhoun said. “That’s what this is for me.” She plans to major in public health and minor in biology with the hope of being a surgeon one day. Wright, whose career goal is cardiology, plans to major in biology and chemistry. In addition to the Oliver Dewey Mayor Foundation, funding also comes from the Brittain Biology Student Research Endowment, The Andy and Narcadean Buckner Biology Scholars Program, the Howard McCarley Biology Student Research Endowment, and the Independent Bank Community Grants Program.